Australia has been on my radar since few years. Having visited North and South America and key countries in Asia (Srilanka, Singapore, Malaysia and Thailand), my next target is Australia and Europe. But it is a bit expensive affair to visit Australia from India for a middle class family. Return ticket costs about 50k onwards in regular airlines (even the cheapest Air Asia which connects via Kuala Lumpur costs about 36k INR onwards). Other expenses included, minimum one lakh INR will be required per person for a short trip to Australia. Because of this reason I’ve been differing Australia visit sine die. Now that Indiblogger has come up with a contest “It’s time to visit Melbourne” I’m using it as an excuse to study about Australia in general and Melbourne in particular and submit my dream itinerary in this blog post. If I win, I get to go there for free, if not I hope to materialize this itinerary some day. Good thing about the contest is that I don't have to run around requesting votes for my entry and it will be judged for the merit of its content. During childhood, Australia has been known for Kangaroos- the animal with a pouch to keep its babies. Then Australia was popular for cricket- for winning the world cup (Related: I’ve photographed Bret Lee at Colombo beach last year- see the pics here). The movie, Dil Chahta Hai was shot in Australia partly(Harbor Bridge area in Sydney). Melbourne Cricket club is popular at par with Manchester United, it operates Melbourne Cricket Grounds, one of the biggest. Sydney, Perth, Melbourne and Brisbane are some of the most popular towns in Australia. Few of my friends have shifted their base to Australia as work took them there, others have been on short visit. Seeing the photos they’ve been sharing has been quite tempting. Once in Melbourne, how much time you’re left with in the day will depend on what time you arrive. Air Asia arrives at 9AM, Quantas arrives at about 7.25 AM, so let me assume that we’ll have most of the day at our disposal to explore the town. I’d spend some time understanding Melbourne’s public transport system and understand how we can commute in the city in easy and affordable manner. Melbourne has world's largest tram network and has an integrated ticketing system for trams, buses and trains, called Myki. I'd pickup a tourist pack of Miki on my way to the hotel. Rest of the day I'd visit Melbourne Cricket Ground, Eureka Skydeck and do some more exploring the city cycling around in rented bikes. Bike rides are superior ways of exploring a city compared to a taxi ride. Good thing is that even helmets are available for rent/sale with the bike rental, hence no worries on safety. If we arrive by an early morning flight, we'll have enough time to cover more destinations. Return the bike, back to hotel, dinner and sleep early so as to get up early next day. 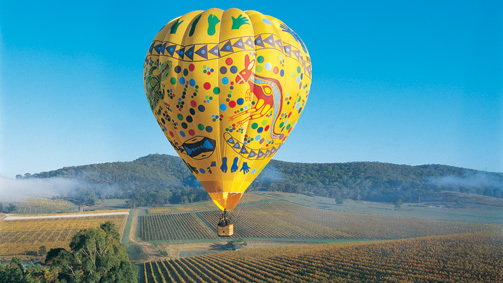 Balloon rides are one of the key attractions in Melbourne. There're multiple operators and cost of an 1 hour ride will be around 350 Australian dollars (375 if you want breakfast and champagne added). That will be a cool 20k INR but will be worth every penny as it will be a life time experience. Visit RAAF museum after the joy ride. Explore Point Cook Coastal park nearby. This would take morning half. After going up in air, time to do some adventure in ocean. Head to Williamstown and enjoy a sea plane ride. The 1 hour ride in sea plane helps us see scenic views of Melbourne coast line. This is a standard package any tour operator would add to your itinerary, which will let us enjoy the Victoria country side outside Melbourne city. The tour will be a full day activity from 7AM to 9PM covering Bells beach, memorial arch, Kennett River, Rainforests, Loch Ard Gorge and an added possibility of helicopter ride. While indulging in adventure, it is also important to learn the history and heritage of a country. Visiting a museum is the best way to do this. Post breakfast, head to St Patrick's Cathedral (because it can be explored early while Melbourne museum opens at 10 AM). Then head to explore Melbourne Museum. Well, I've jotted down my dream itinerary (5D/4N). I had to trade off lot of destinations/attractions as we can't do/visit everything in 5 days. Most of the adventure activities cost few hundred AUD and we'll need substantial savings to enjoy them. I don't think tourism victoria will cover them if I win, so I've started my savings. If you're still waiting to explore Melbourne, it's your time to visit Melbourne now! . Update: The contest has ended and I didn't make it. Got a consolation prize of a customized pen drive (given to all participants) I'll have to visit Melbourne at my own expense now. Update 2: I might be headed to Melbourne in early 2016- Booked cheap Air Asia return tickets and planning. 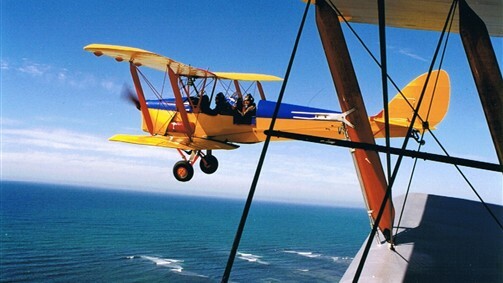 The joyride in the Tiger Moth sounds like a super idea. Good luck for the contest, Srinidhi. Great research.Crisp and lucid way of explanation. Good luck. all the very best for the contest shrinidhi ..
ATB for u r contest..
You've worked hard for this one and the sincerity definitely comes across through your words. THanks for writing. No, I didn't go to Melbourne. This post was written for a contest which I didn't win. Australia is a bit expensive, hence delaying.